Our first trip to Moro’s Table was more than two years ago, which means that plenty of time has passed between visits to write about it. The Kid is a pretty big barrier to getting back to a place like this, as is a total lack of planning. 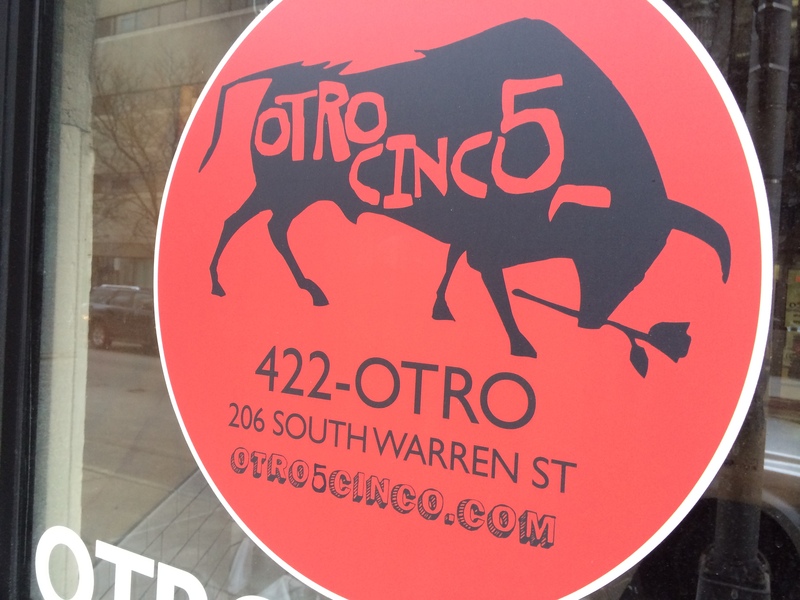 Every time we have tried to get a reservation here, a lack of advance planning — defined as more than three days — has precluded us from getting a table. 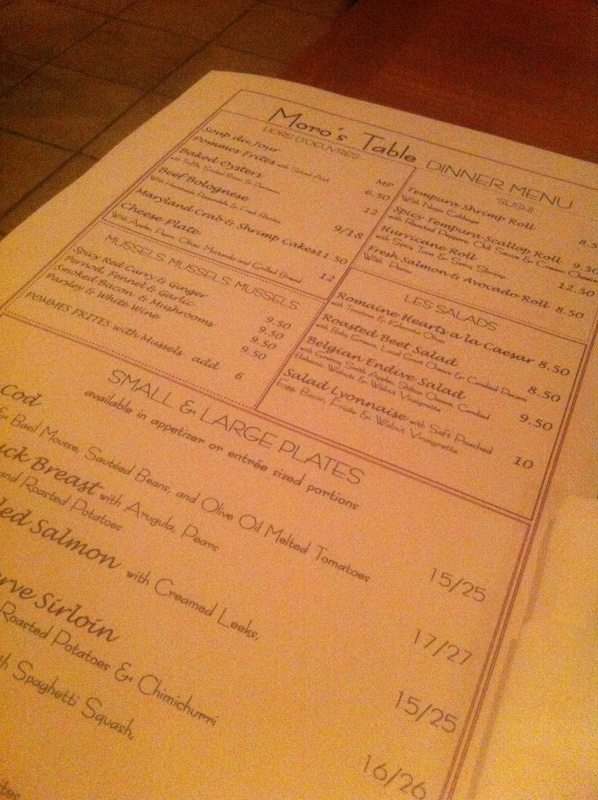 The changes to Moro’s Table have been slight and primarily to the menu. It’s narrower than before. Previously, 10 or so main courses highlighted a menu of a dozen sushi rolls and as many appetizers. Our visit on a recent Saturday night presented a seasonally-adjusted menu of six entrees (all but one available as a small or large plate), four sushi rolls and five appetizers, plus salads and four different preparations of mussels. The completely full dining room was dimly lit and full of chatter. Our waitress was outgoing and understanding of my desire to not have any attention drawn to my birthday. A moderately-priced but impressive wine list was skipped in lieu of a pomegranate martini for The Wife, an Ommegang Rare Vos for me, and a Coors Light for The Aunt.